Bespoke Curved Wardrobe System. Keep up to date with a contemporary shaker style in the White Avola woodgrain. The curved doors create a unique flowing design making all your space easily accessible and shows what fitted furniture can do for a room. 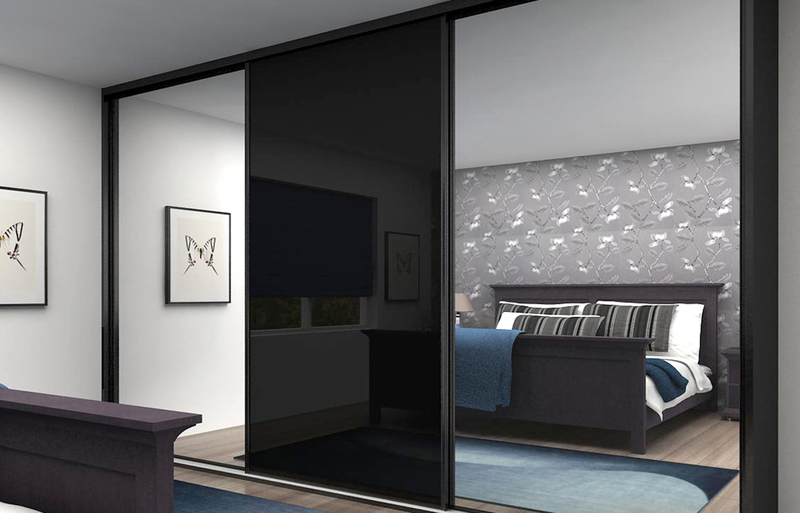 Unique to Harval, our inline sliding door system offers the best in seemless design, giving the benefit of sliding doors but with an elegant flush finish when doors are closed, and the ultimate (no frame) system. The unique motions smoothly closes with a gentle touch. Available in a range of styles and finishes, beautifully mad-to-measure with the Harval quality. 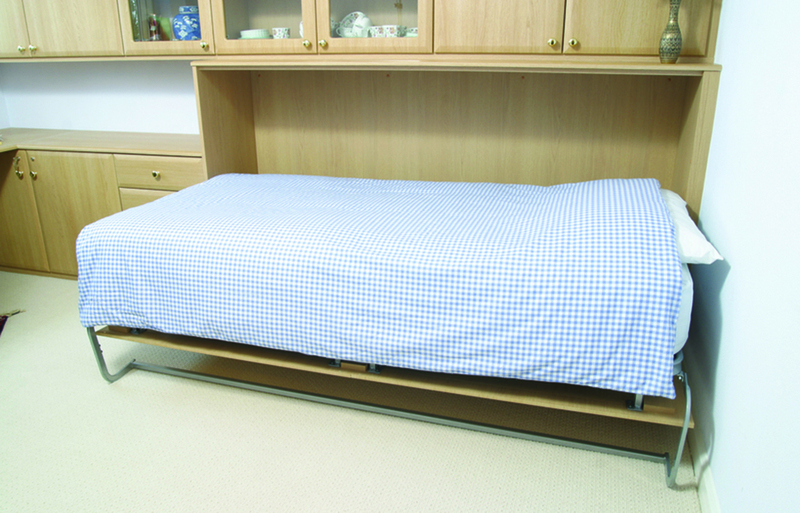 If you have a spare bedroom it can be transformed into a multipurpose room with one of our wall beds for guests or sleepovers, available in double, single and horizontal sizes. 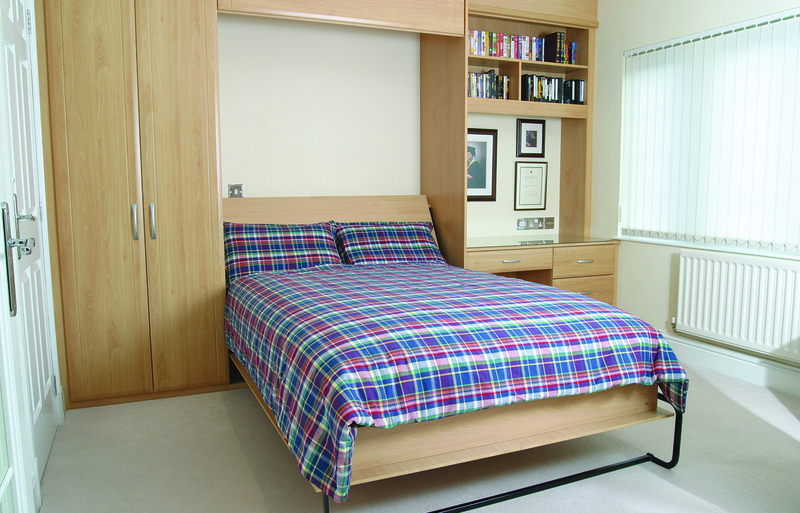 When the bed is folded away, you have the floor area back for use as home gym, cinema, hobbies, or a home office. 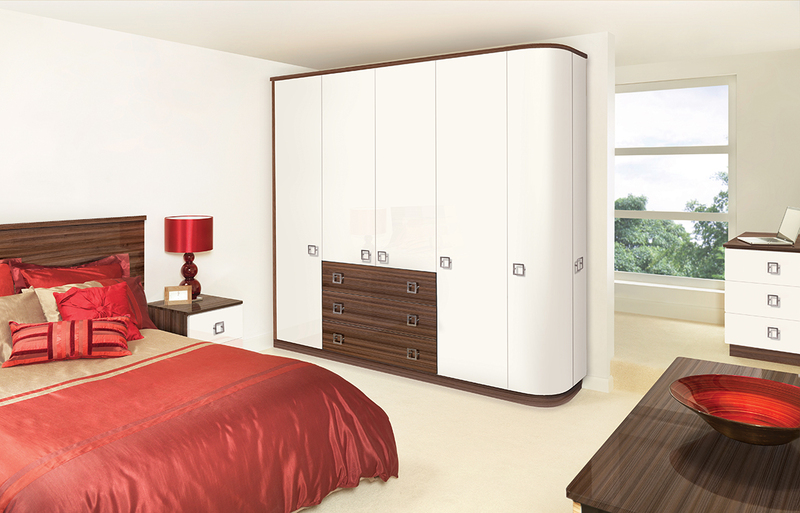 Made to measure in a choice of finishes and door styles. You make the decision on colour and door design and leave the rest to us. If you have a spare bedroom it can be transformed into a multipurpose room with one of our wall beds for guests or sleepovers, available in double, single and horizontal sizes. When the bed os folded away, you have the floor area back for use as home gym, cinema, hobbies, or a home office. 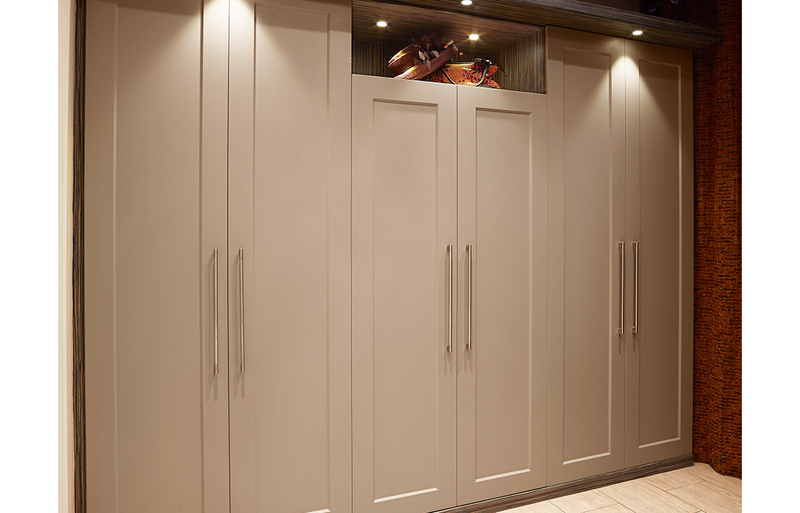 Made to measure in a choice of finishes and door styles. Sale now on! 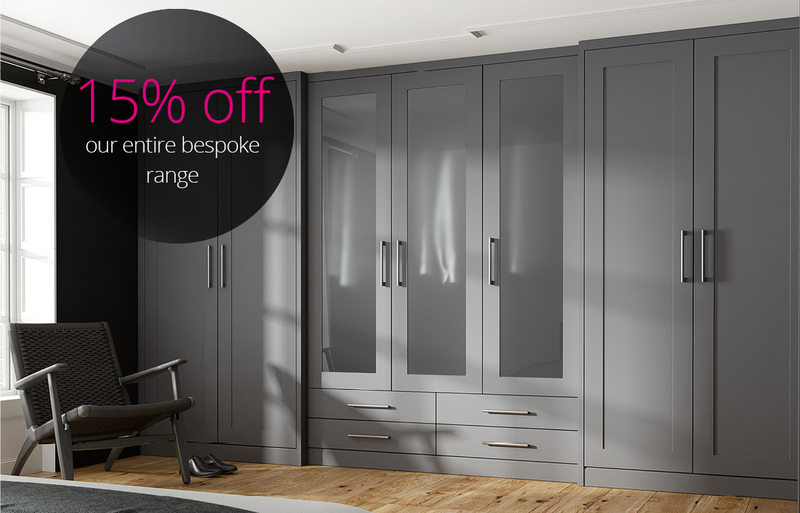 Enjoy 15% off our entire bespoke range of bedrooms, wardrobes and home office. You make the decision on colour and door design and leave the rest to us. Bespoke Curved Wardrobe System. Grey Avola has hidden depths to complement many decor styles. 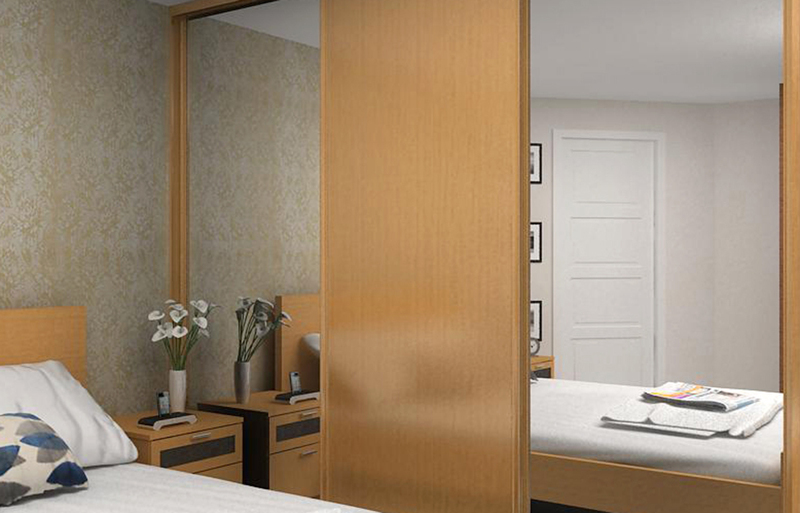 With cutting edge curved doors, this combination succeeds whether at work, rest or play.. 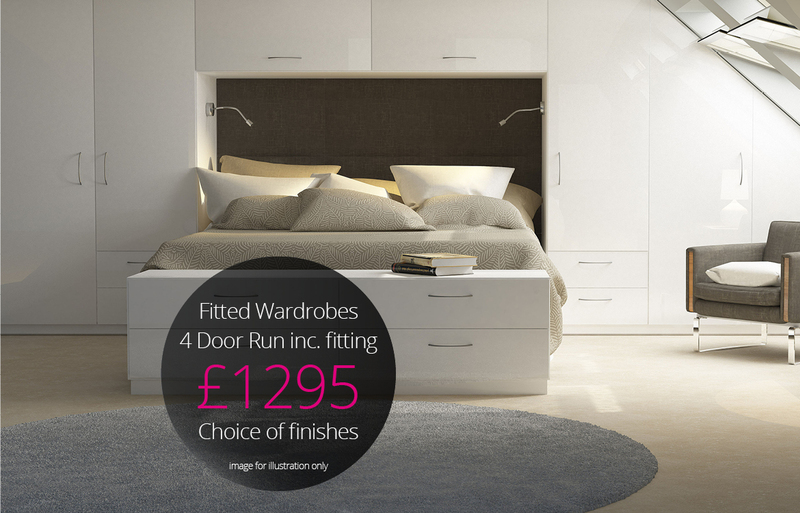 Right now we’re offering our Hinged Door Wardrobe ranges in an 8ft/4 door run for only £1295. Fully fitted, 5 year guarantee, choice of colours/finishes. Bespoke fitted hinge wardrobe system. 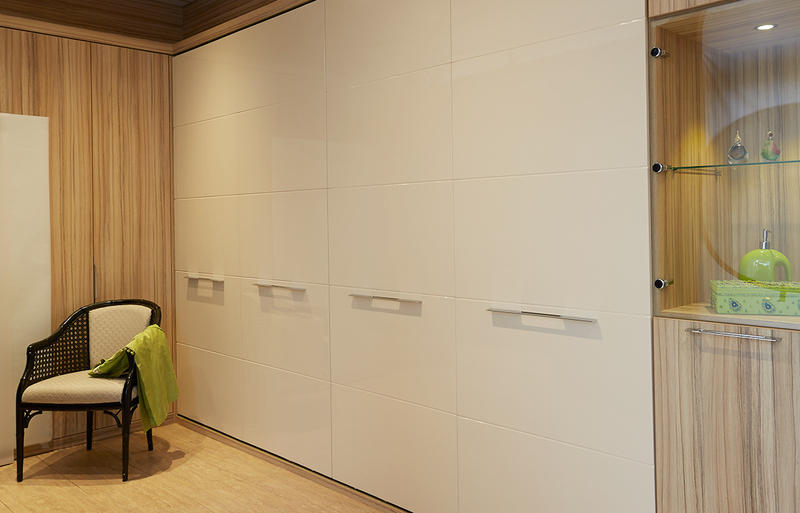 Bevelled edges set into simply stated doors create an understated appeal. 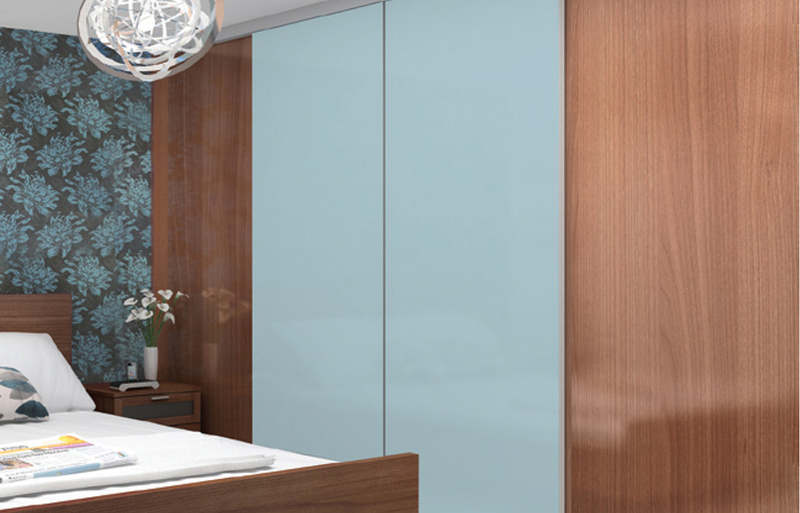 Available in a range of styles and finishes, beautifully made-to-measure with the Harval quality. Bespoke fitted hinge wardrobe system. The modern style combined with quality feel is sure to be a popular choice for the discering customer. 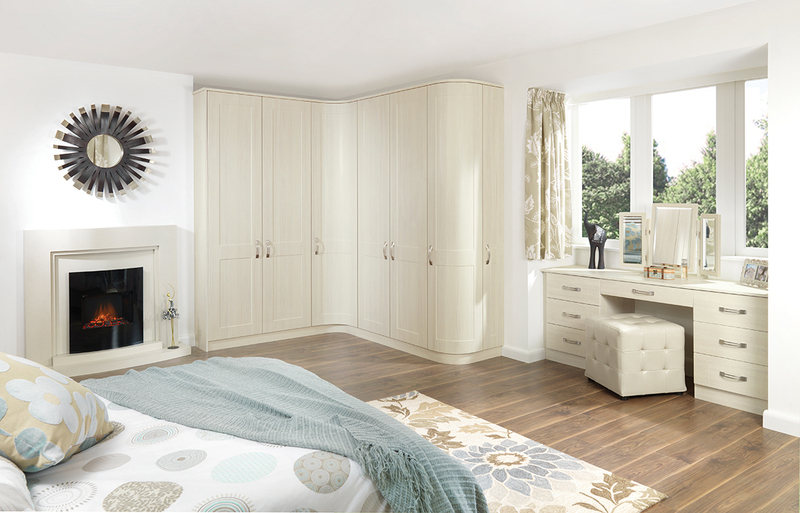 Contemporary styling is reflected in the striking plain fronted doors. 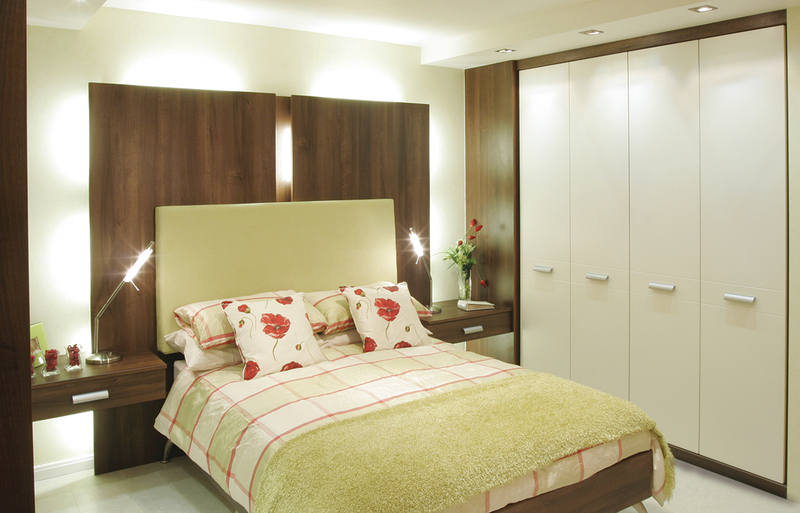 Modern brushed chrome handles and contrasting dark wood bring a touch of warmth to the bedroom. These can be fitted in most finishes. 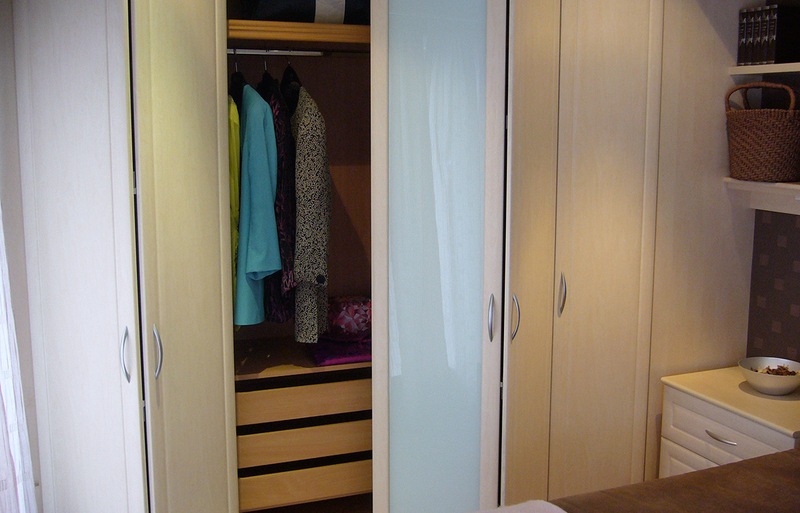 Our folding wardrobes offer much more storage space than you would expect from even the smallest space. Packed full of wonderful features like clever storage solutions and even an option of personalised front panels. 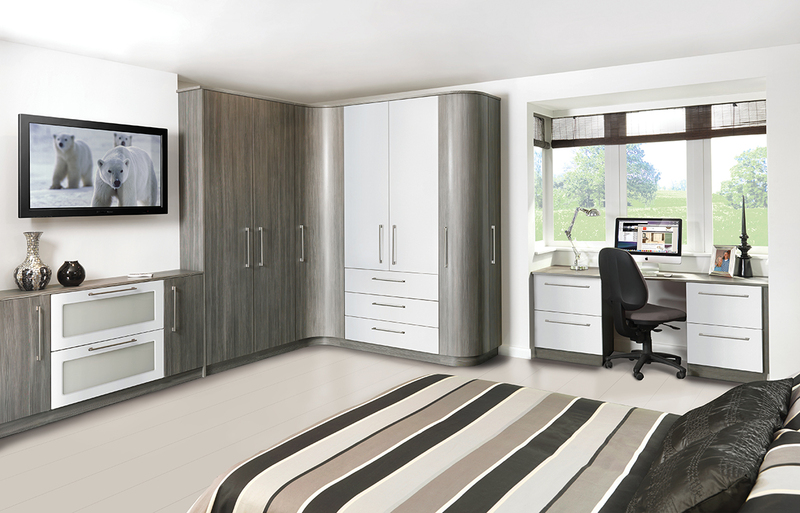 The made to measure Galaxy range offers the very latest in cutting edge design. 32mm Steel Framework gives you the look you want to suit your budget. Manufactured using our own rolled steel framework it is a cost effective solution to your storage needs. The coated steel framework is available in a wide range of colours and wood effects and is suited to both safety backed glass and timber panels - with a choice of single panel, split panel or oriental bars. With the frame-matching coated steel track system. Bespoke fitted sliding door system. The modern style combined with quality feel is sure to be a popular choice for the discerning customer. 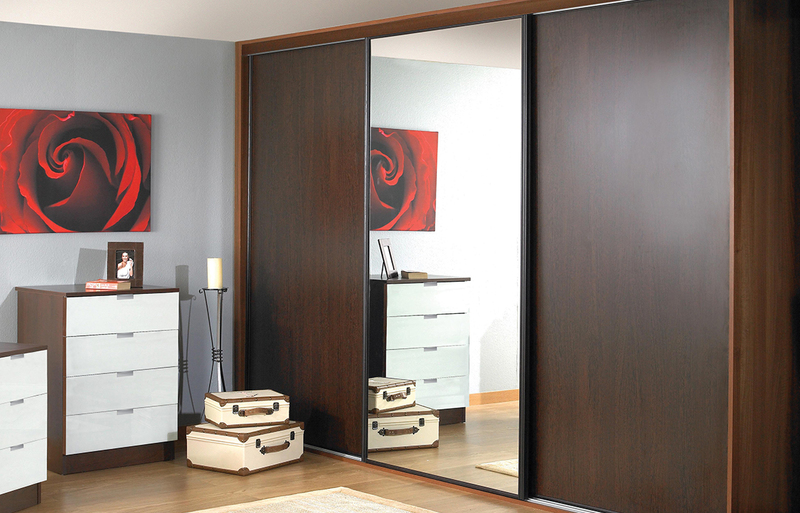 Contemporary styling is reflected in the striking plain fronted doors and contrasting dark wood bring a touch of warmth to the bedroom. 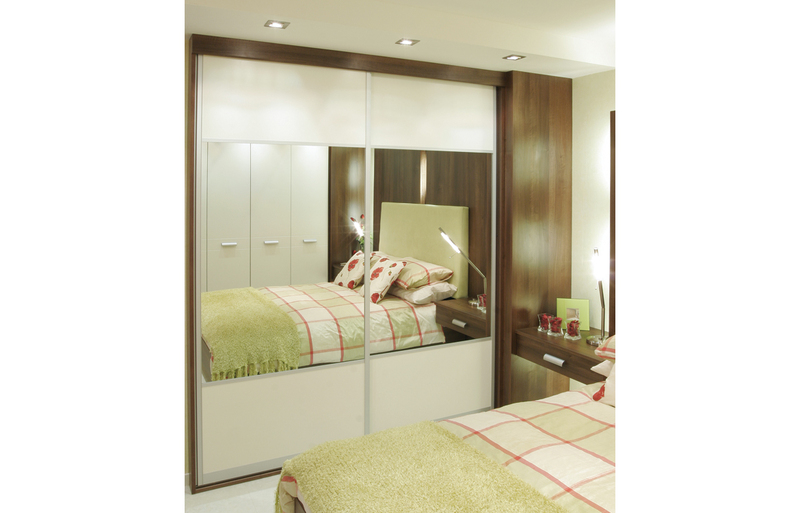 Full length mirrored sliding doors show just how versatile HARVAL fitted furniture can be. These can be fitted in most finishes. You make the decision on colour and door design and leave the rest to us. Bespoke fitted sliding door system. A clean uninterupted look to your choice of panel finishes. Whilst not completely frameless, the system only shows a very narrow vertical line of just 5mm on each front face of the door panel, this is finished in satin anodised silver. You make the decision on colour and door design and leave the rest to us. Bespoke fitted sliding door system. 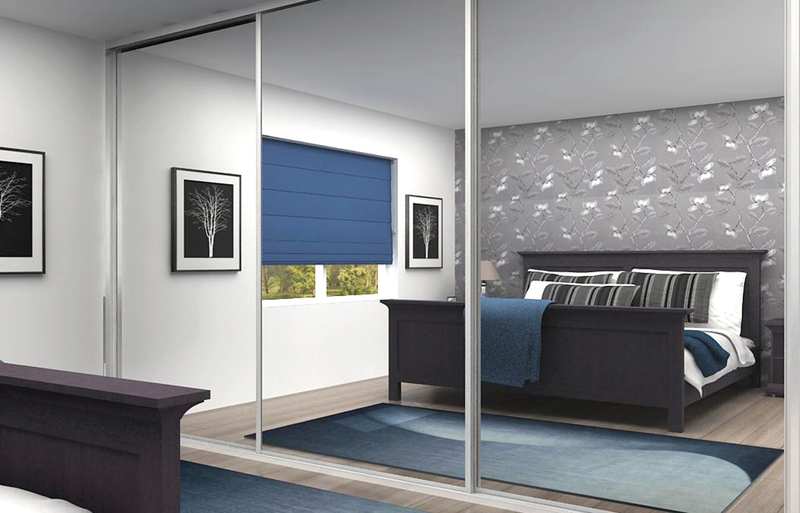 The Saturn system is a range of made-to-measure sliding doors which facilitate the option of split panels, this widens the choice of panels as you can choose differnt colours/finishes for each section where the door is split by a horizontal bar. The Saturn range comes in a full palate of colours and woodgrain effect finishes. Available in a run of doors up to 2490mm high and 5000mm wide, full or split panels. Bespoke fitted sliding door system. The made to measure Galaxy range offers the very latest in cutting edge design. 32mm Steel Framework gives you the look you want to suit your budget. Manufactured using our own rolled steel framework it is a cost effective solution to your storage needs. The coated steel framework is available in a wide range of colours and wood effects and is suited to both safety backed glass and timber panels - with a choice of single panel, split panel or oriental bars. With the frame-matching coated steel track system. Bespoke Curved Wardrobe System. Wake up to the calm colour of Jasmine. 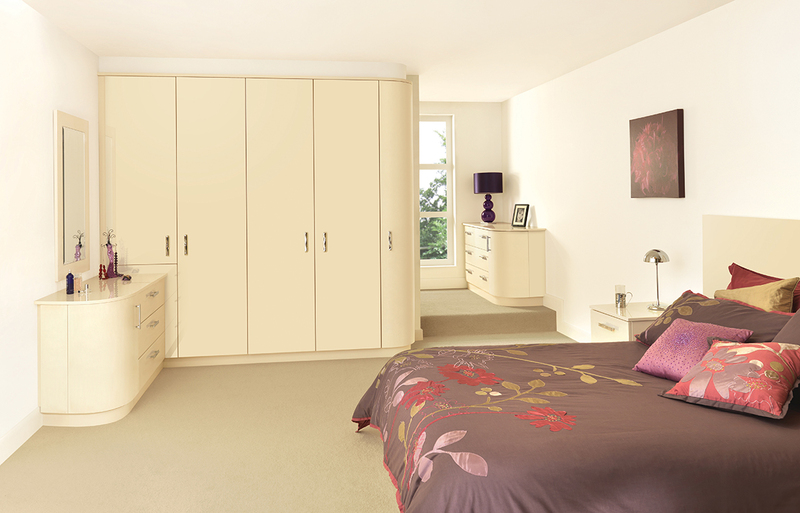 With its smooth gloss surface and gently rounded doors and worktops, this room will ease you into a bright new day. 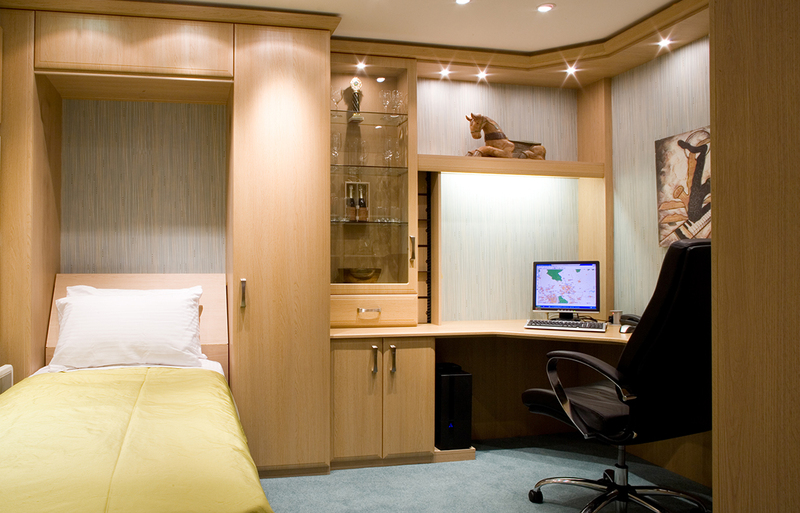 Bespoke fitted bedroom furniture is a real luxury. Bespoke Curved Wardrobe System. Contemporary curves and contrasting colours, combined with the feature of doors over drawers, make this glossy mix a striking creation.